A REFRESHING twist on the Good Ol’ Split Pea Soup. LIGHTLY Butter Crock (Or Butter Cooking Spray). Add all ingredients, except coconut milk and 1/2tsp of the 1.5tsp Mint. Cook on low 6-8 hours, til vegis are soft. Last hour add coconut milk and 1/2tsp mint. *I honestly forgot which I added. Busy day! So add 1tsp Mint. If the last hour it needs more, throw in the other 1/2tsp. Also, my split pea bag was open, not sure if any was missing. But, there was more than half, for sure! CLICK HERE to Check Out What We Have to Offer on FACEBOOK. Then, LIKE Us! 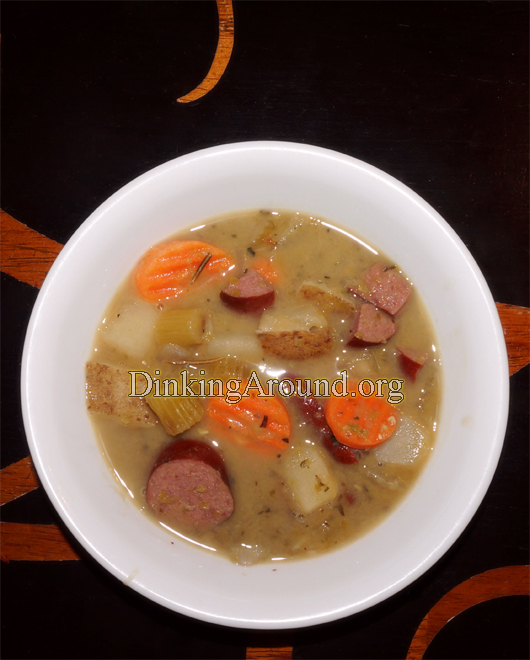 This entry was posted in Chili, Soup, & Stews, Recipes and tagged coconut, crock pot, crockpot, easy, gourmet, mint, rosemary, So Fresh and So CoConuty, soup, split pea soup. Bookmark the permalink.